Even if you have no plans to go on an African safari, sporting a safari hat is a surefire way to mix up your wardrobe. Safari hats are a practical travel accessory, but they also afford anyone a look that is at once timeless and on trend. Originally called a pith helmet because of the material with which it was made (a spongy plant material called sholapith), safari hats were first worn by European travelers and military in the mid-19th century. Since then, the use of materials has expanded from sholapith to cotton and leather, and the shape has evolved into a looser and more stylish version than its rigid, dome-like ancestor. However, one thing remains the same: Safari hats should effectively shade the head and face from the sun. 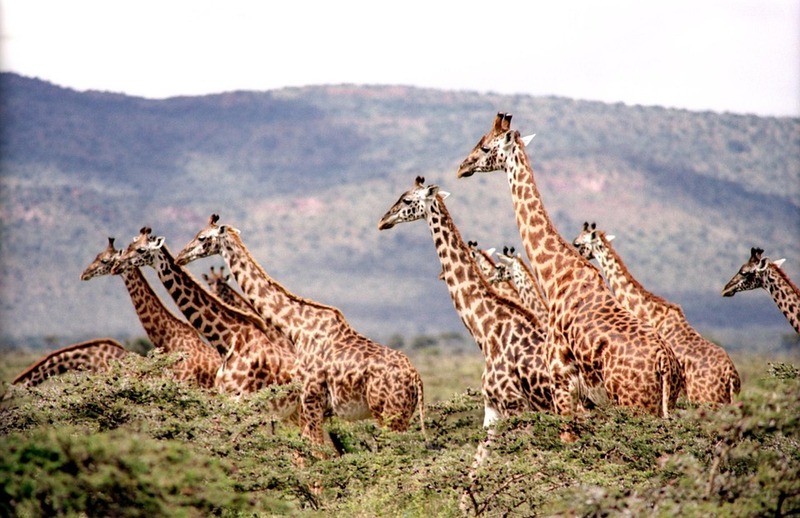 Find out what makes a great safari hat and then shop for the best safari hats for men and women whether you're trekking across East Africa or braving the urban jungle of the East Coast. Whether or not you're actually going on safari, wide-brim hats are essential for the most basic reason: sun protection. A quality hat with a three-inch brim or wider will effectively shield you from the sun's harmful rays much more than, say, a baseball cap. Even better, wide brims not only protect your face, but they also cover your ears and neck, which are areas that are often overlooked. Safari hats are synonymous with adventure, so ease of packing is essential. Choose a hat that is crushable, meaning you can pack it flat and it will return to its original shape. This will ensure you can conserve valuable suitcase space, not to mention you won't have to worry about ruining the hat's shape even after lugging it around, shoving it in a backpack, or simply wearing it out in the elements. When it comes to breathability, material is key. Cotton material and other natural fibers used in twill safari hats absorb moisture and allow airflow, which help dry out dampness and create an enjoyable hat-wearing experience. 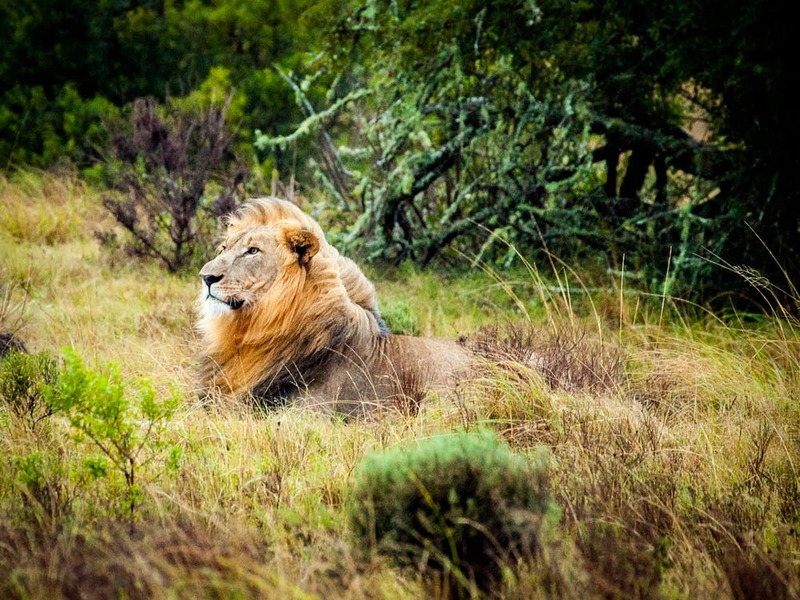 Much like the mighty lion, comfort is king when it comes to choosing a safari hat. The perfect fit ensures that you'll enjoy the hat whether wearing it in your backyard on lazy Sunday afternoons or on an arduous hike across the African desert. There's almost nothing more bothersome for hat wearers than the sensation that it’s about to fall off. 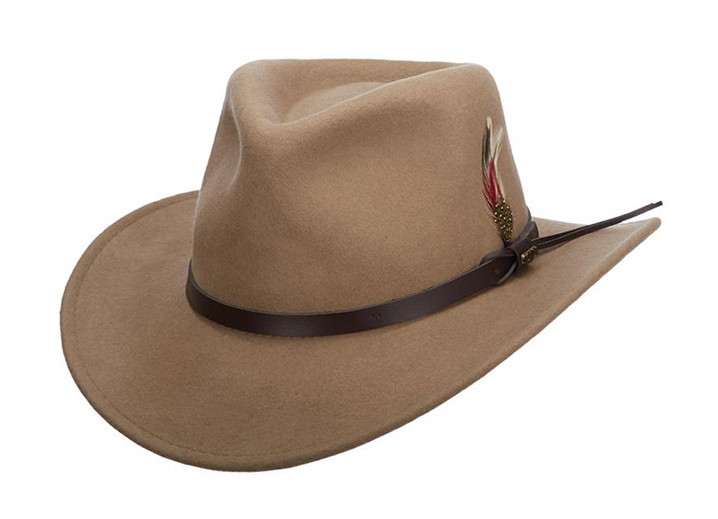 Safari hats with a chin strap or cinch cord help keep your hat in place and allow the fit to be adjusted. While not required, it's nice to have a safari hat that repels water. A fast-drying hat is especially handy when caught in wet weather such as a heavy rainfall. 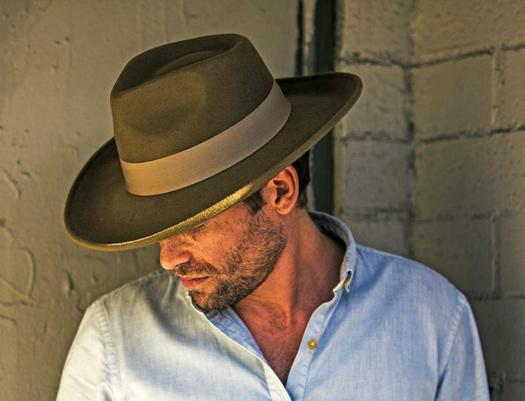 When you’re on the hunt for the quintessential safari hat, look no further than Dakota by Scala — it’s our best-seller for a reason. Crafted from water-repellent wool felt, this versatile headpiece features a 3-inch wide brim and feather-capped leather band. Want to try it on right now? No problem. With our AR virtual try-on, you can see what it’ll look like before you buy. 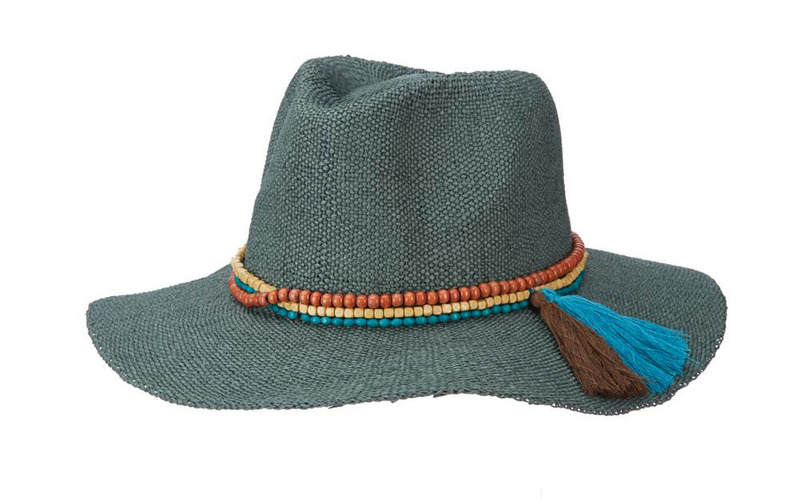 Go on your next outdoor adventure with this wide-brimmed herringbone cotton safari hat from Stetson. Because it's a weathered cotton hat, expect it to be breathable, comfortable, and lightweight enough to wear year round. The brim's monochromatic stitching and reinforced edge speak to the quality, while a plaid lining offers a touch of unexpected flair. The chin cord and twill sweatband hit all the must-have points for a perfect match of form and function. 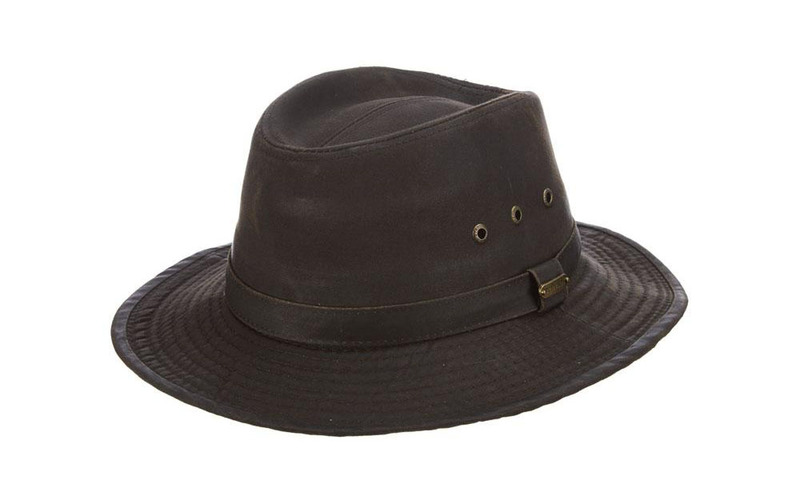 A perennial favorite among travelers, this safari hat from Tilley is crushable, breathable, comfortable, and an effective shield against the sun thanks to its UPF 50 rating. Crafted in the boonie hat (aka bucket hat) style, this gender-neutral headgear features ventilating mesh in the crown to help keep you cool even in high temperatures. The wide, sturdy brim protects against rain or sunshine while the interior anti-sweat band wicks away perspiration. Add the adjustable wind cord to keep the hat in place, plus its machine washable fabric, and you have yourself a trusty travel companion. 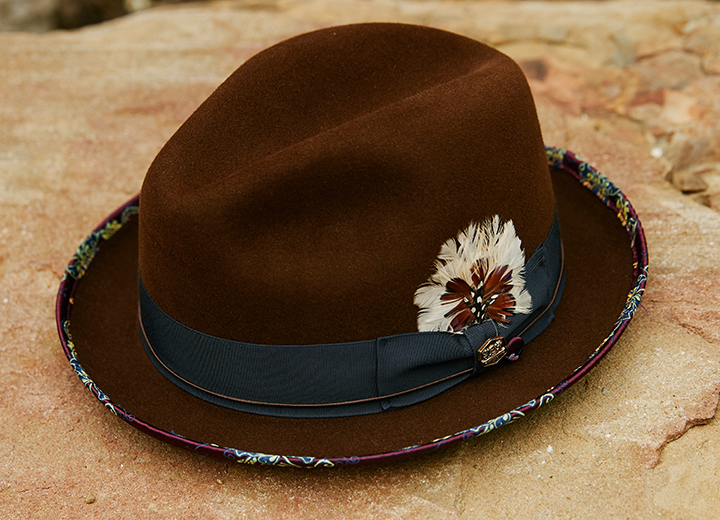 You know what to require from a safari hat, but don't be afraid to have fun with color and details. 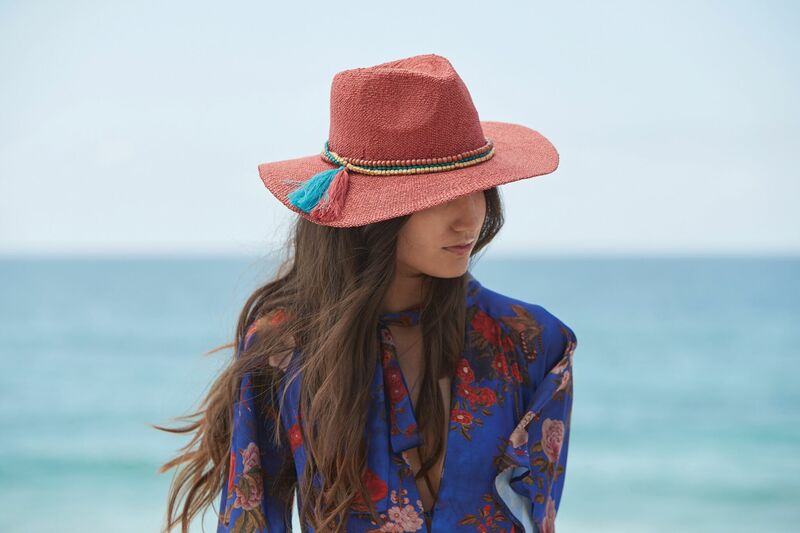 Enter this eye-catching teal-hued women's straw hat from Scala featuring a multi-colored wood-bead band and double tassels. The 3 1/2-inch brim is a reminder that this is indeed a sun hat intended to protect your face and neck. The round, intricately woven crown made of toyo fiber complements a carefully curated wardrobe for an effortlessly chic finishing touch. 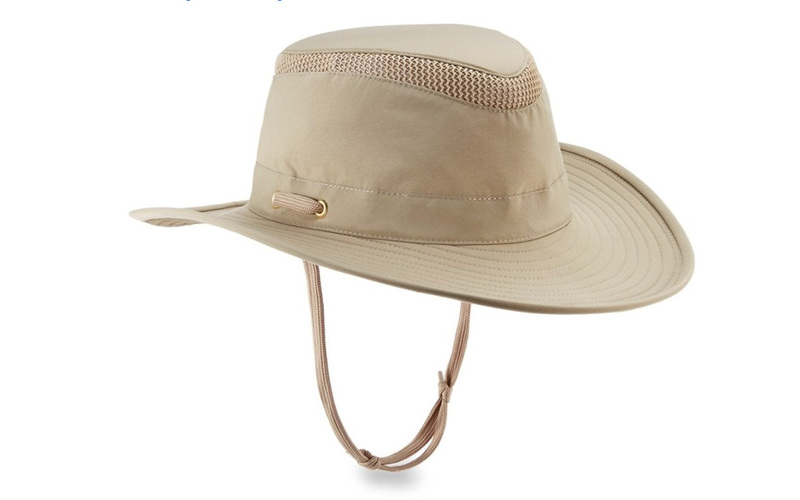 Even better, this stylish safari hat comes in other colors including natural, tan, and coral. A man of distinct style, that's what you are. 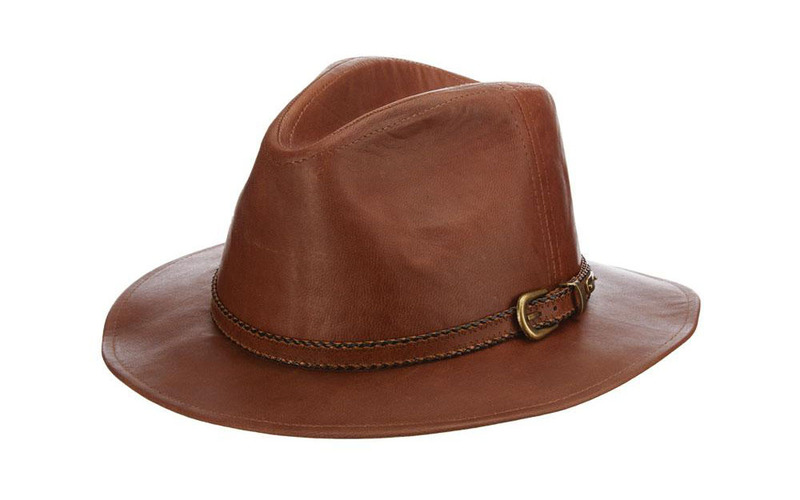 This strikingly handsome leather hat by Stetson is a study in great quality and style. The distressed leather lends a slightly rugged look while the pinched crown and leather band with buckle proves that greatness is in the details. Like cotton, leather is a natural fiber that works well in various temperatures and conforms to the wearer's head. The twill sweatband also makes sure that you'll keep cool no matter how hot it gets. 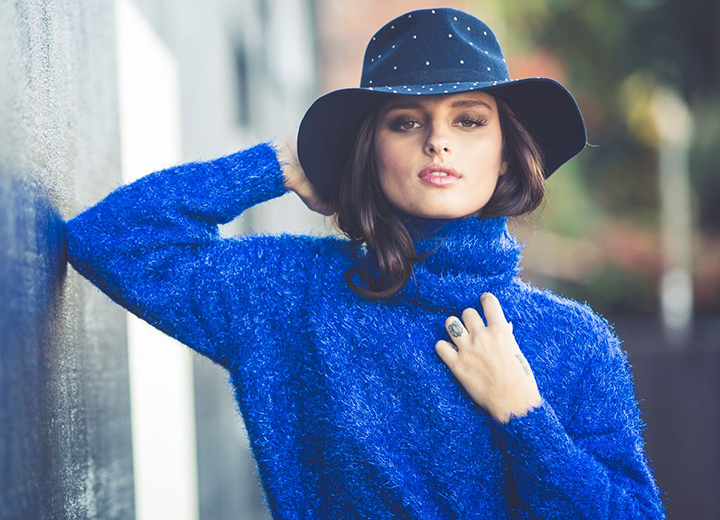 Add some serious flair to your look with this Pluma wool felt hat designed by Scala. 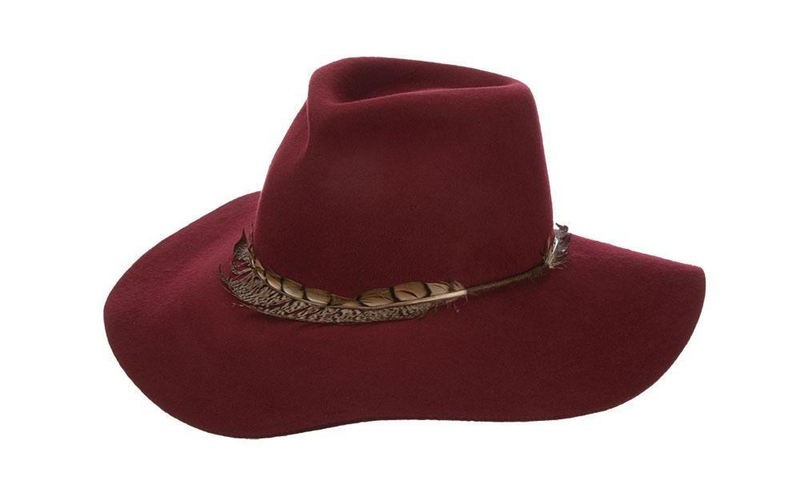 Fresh and fabulous with a fashion-forward feather band and raw edges, this safari hat is for the woman who knows how to make a statement without saying a word. The inner drawstring sweatband helps keep the fit just right, and the sun-blocking four-inch brim is as functional as it is fashionable. 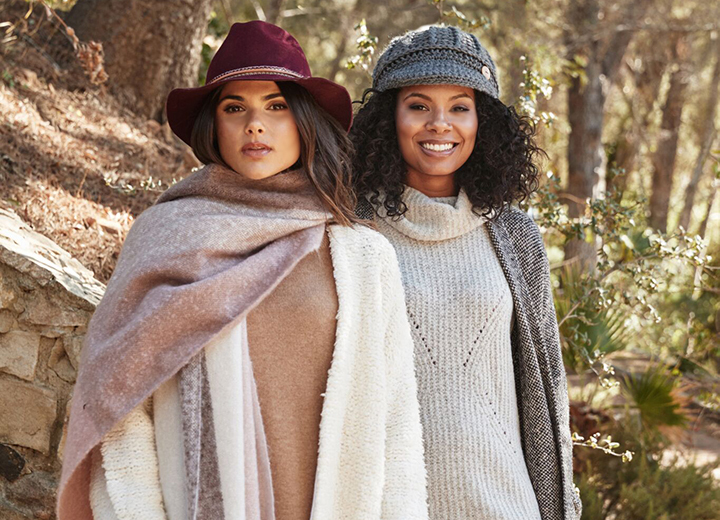 No matter where your travels take you — Botswana to Kenya, Bora Bora to Mexico, or across the U.S. — the right safari hat will be among your most treasured accessories to keep you comfortable and protected from the elements while complementing your own personal style. Take a look at the entire collection of mens safari hats and womens safari hats for your next adventure!